We recommend a maximum of 12 people in a 1 hour shooting session. It is illegal to possess or use an air weapon if you have been sentenced to any form of custody for a term of 3 months or more. The ban is for 5 years from the date of release if the sentence was between 3 months & 3 years. If the sentence was more than 3 years, the ban is for life. You are obliged by law to inform the staff if this applies to you & to refrain from this activity. 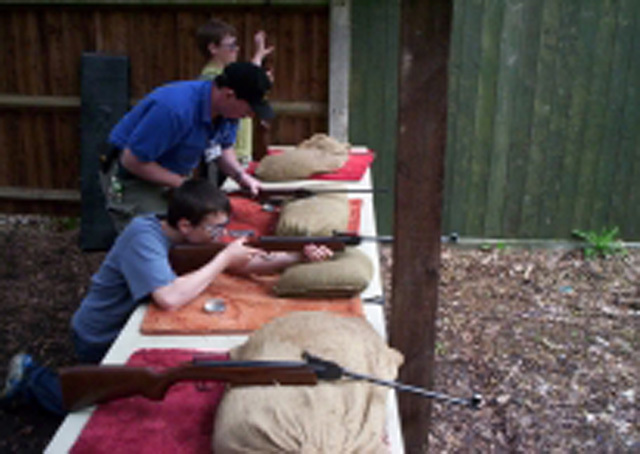 Our shooting staff are all trained to NSRA standard. The range has four targets, so groups shoot four at a time with the rest of the group waiting behind a metal rail. Everyone in the shooting area will be required to wear our safety glasses while in the range, even if just a spectator. Please dress sensibly for the time of year. All participants will need to wash their hands before handling food as the pellets are made from lead. Suitable for cubs, scouts, explorers or adult leaders & helpers. 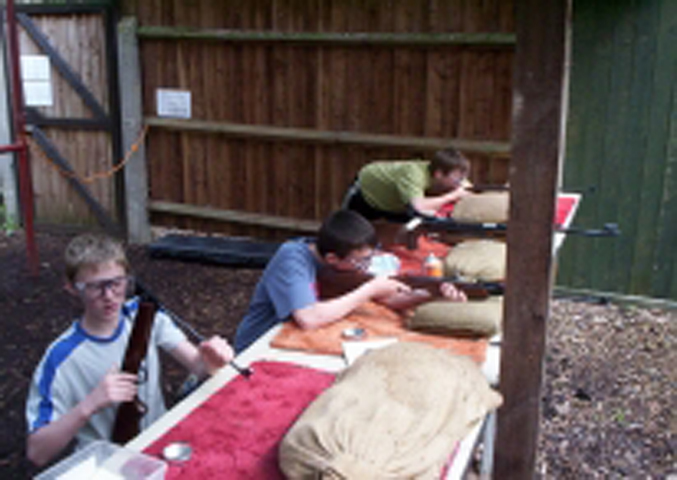 Many groups also book archery and run both activities back-to-back.